Good article! I looked at Montagu’s papers last year when I was in London, and a few months ago wrote a post about him and Thornton. So I’ll be interested to see the movie. Excellent post! I had no idea of the story behind the emblem. I’ll definitely go see the movie, although Christian Bale is much cuter than Montagu! Perhaps Keira Knightley as Evelyn (since she’s in everything British). 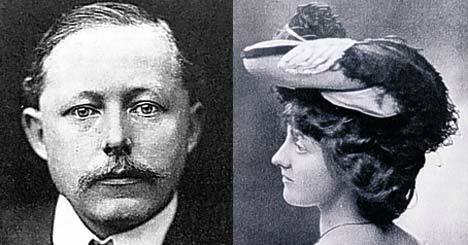 A very interesting article about the origins of the Rolls and its’ emblem. And such a tragic love story! 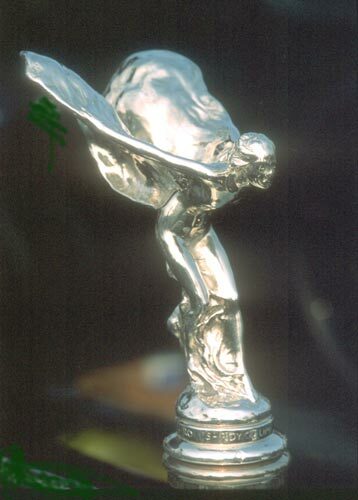 I acquired a bronze statue of a”replica “of the “Spirit of Ecstasy” mascot for the Silver Ghost Rolls Royce- signed Charles Sykes. The statue is 29″ tall overall. The figure is 19″ tall and the base of marble and onyx is 10 ” tall. which came first the large version or the smaller version for the hood? I’m no antiques expert, but I can point you to the knowledgeable people at PreWarCar.com for more information. Thank you Evangeline, for the website. I feel very sorry for his wife lady Cecil. He was a low life cheater and his love affair is being gloirifired. She gave her daughter up for adoption to be with him. what kind of a woman was that?